There are small classrooms and large ones, old and new ones, and all kinds of different desks and chairs, not to mention different subjects and teaching styles. But no matter what classroom you’re in, certain standards of etiquette are expected. You are responsible to help create an atmosphere where learning can take place. Showing respect for your professors, who have prepared material they want to teach, your fellow students, who have come to learn, and yourself is the mark of a mature student who is ready for the college environment. Most students who behave inappropriately don’t mean to be rude — they just haven’t thought about the effect that their behavior may have on the classroom environment. So that you don’t fall into that category, here are ten tips on proper etiquette in a college classroom. Showing up late creates a disruption as heads turn your way while you find a seat and get out your materials. Everyone has last-minute emergencies or gets behind now and then, but if you find yourself arriving after the professor has started class more than once or twice, rethink your schedule. Could you get up a little earlier? Plan to leave home earlier? Take into account how long it takes to find a parking spot? Avoid scheduling back-to-back classes on opposite ends of campus? If you find that you will be unavoidably late on a regular basis because of work schedules or other reasons, you may wish to explain your situation to your professor. 2. Stay in class until it is finished. Leaving class early or coming and going during class is disrespectful and indicates a lack of interest in learning the material. It is also inappropriate to leave immediately after a quiz or after turning in an assignment, or to come late, having used the extra time to finish an assignment due that day. Once in a while, you may have to leave early for a special situation; in this case, it would be polite to inform the professor before class that you will need to leave early, apologizing for the disruption. If you have an unforeseen emergency and must leave, do so as quietly as you can. Also, avoid rustling your papers, putting books away, or zipping up your backpack before the professor has finished speaking at the end of the class period. If he or she habitually goes over time and you have another class right afterward, discuss it with the professor privately rather than trying to send subtle or not-so-subtle hints that class time is up. 3. Leave your cell phone on VIBRATE OR silent. The sudden interruption of a musical ring tone in class is very disruptive. Even if you answer it as quickly as you can, everyone around you has been distracted. Some professors take strong exception to any use of a cell phone in class. If you receive an urgent message and must answer it, move as quickly and quietly as you can from the room. Under no circumstances should you carry on a conversation on a cell phone during class — no matter how quietly you speak, it will be a serious distraction to everyone around you. 4. Don’t hold private conversations during lecture. As soon as the professor signals the beginning of class, stop talking and don’t continue your conversation until after class is over. You may think that your voice is low, but everyone around you can hear it loud and clear. A whisper is sometimes even worse. A quick question for clarification of something the professor said is usually OK, but extended conversation, even about the course material, is distracting to others and can make you miss the next point the professor is making. Raise your hand and ask a question if you need further clarification ­— other students may be grateful, as they may have had the same question. Listen when other students are talking as well — you can learn from their comments or questions. For sure, avoid talking to a friend about your date last night while everyone else is trying to learn. 5. Refrain from using your phone or other device to text, surf the Internet, play games, use Facebook or listen to music during class. This sends a message that you are not willing to devote your attention to learning the material being taught. It is also very distracting to other students; music from your earphones can often be heard by your neighbors. It is tough to do the hard work of learning when the person next to you is playing with their phone. You paid a lot of money to be here (or someone else paid for you). You owe it to yourself or to them to unplug and give the class your full attention. 6. Address the professor in a respectful way. While some professors are more formal and some are more casual in their interactions with students, all appreciate respect. Professors with a PhD are usually addressed as “Doctor” followed by their last name; “Professor” is always correct. The professor should tell you on the first day how he or she prefers to be addressed; if not, it is OK to ask. The way the professor’s name is given in the syllabus can also give you a clue. When talking to your professors, avoid the kind of casual language you would use with friends. Before approaching a professor, think first about what you will say to make sure it will come out the way you intended. See the section on How to Talk to Your Professors for more ideas on this. 7. Keep your questions and comments in balance. 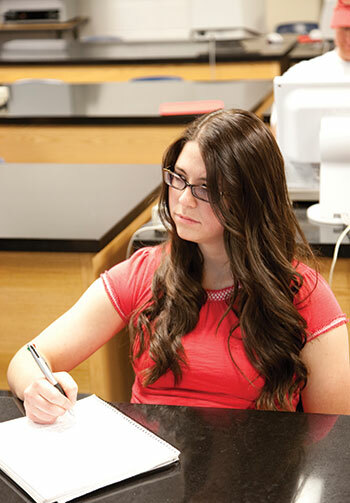 Most professors appreciate participation by students and encourage questions and comments. However, make sure not to dominate the discussion by speaking up too often. To many unsolicited comments by students can prevent the professor from making the points he or she was planning on, depriving other students of that material, or prevent other students from sharing their ideas. Remember, your job here is to learn, not to show off what you know. If you find you are asking a lot of questions in class because you are struggling to understand the material, seek help outside the class time from the professor, a study group, or a tutor. If you catch the professor in a mistake, make sure to correct him or her tactfully, and consider whether it would be better to go up and talk to the professor about it after class. 8. Take time to cool down before confronting a professor. If you are upset about a grade or other decision made by a professor, give yourself a time-out before confronting him or her. Especially avoid confronting a professor in front of the class, as this will create an awkward situation, and isn’t likely to give the results you want. Angry, confrontational language will often put the professor on the defensive, which will make him or her less likely to consider your point of view. Wait until class is over, when you have calmed down, gathered your facts, and planned what you will say to be as diplomatic and nonthreatening as you can. Check your syllabus or other instructions to make sure the problem isn’t due to your own failure to understand what the professor was asking for. 9. Don’t eat or drink in class unless you have permission. Many classrooms do not allow eating or drinking because of the difficulties of cleaning up spills as well as the disruption to other students, but some do, provided you are discreet. If eating is allowed, avoid things like crackling wrappers, slurping sodas, and crunching chips which can distract other students. 10. Ask permission before recording lectures. Most professors don’t mind if you record a lecture for your own later use, but you should ask permission first. Some professors prefer not to be recorded for a variety of reasons and you should respect their decisions. Explaining how you plan to use the recording may help them feel more comfortable about it.